Gary Kirsch has over 40 years of experience directing business and revenue growth in markets as diverse as semiconductors, consumer electronics, industrial safety equipment, and complete oil and gas drilling systems for companies such as Texas Instruments and National Oilwell Varco. He created, recruited, trained, and managed a technical sales team that increased worldwide annual sales of blowout preventers, BOP controls, and drilling riser systems from under $200 Million to over $1 Billion, capturing significant market share during the recent offshore drilling rig build cycle. He enables organizations to build sales competence by building a culture around strategy, process, and lead to revenue technology. 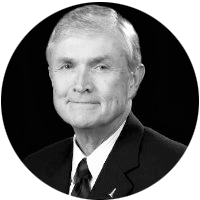 He directed the lean continuous improvement program at National Oilwell Varco, responsible for the internal support operation that fostered, facilitated, and helped grow a lean culture throughout the company.